The changes that have occurred during the past 10 years are amazing! 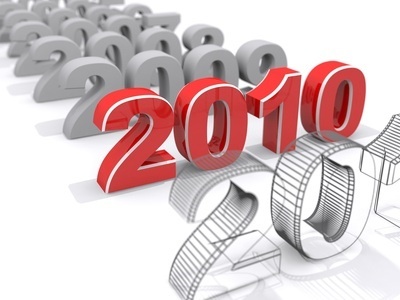 The 2000’s have been a remarkable decade for consumers. And the marketing implications are enormous. Josh Bernoff of Advertising Age recently wrote an article listing some of the dramatic changes that have occurred since the start of 2000.. It’s interesting to look at the changes he cites and consider the marketing implications of those changes. When the decade began, there were 2.6 million broadband households in the U.S. – one in 40 homes. Now there are 80 million – two thirds of the population. In 2000, there were no DVRs. Today they are in 31 million and 51 million HDTVs. There are now 270 million mobile phone subscriptions in the U.S. – out of 307 million adults. In 2000 there were practically no smartphones. Portable digital music players now reach 76% of all households. In 2000 the iPod had not been introduced. There are now over 350,000,000 active Facebook users. There were none in 2000. Google just celebrated its 10th anniversary. Ten years ago, Google wasn’t a noun or a verb. Spending on digital marketing has grown from $6.2 billion in 1999 to $25.6 billion or 12% of all marketing expenditures. In 2009, consumers spent 34% of their media time online. To look back at these numbers, it is truly amazing how things have changed. And the next decade will bring other remarkable changes. All of this has certainly changed the nature of marketing. These numbers can’t be ignored. The consumer is very different today than he/she was just 10 years ago. Our marketing strategies, patient service models and communication methods must change to reflect this very different marketplace. The consumer has more control. The consumer is more active in the marketing process. The consumer is more demanding. Expectations are higher. And the liabilities from not being responsive to the consumer are much greater. Today is indeed a different world and a different marketplace than it was 10 years ago. We look back at the last decade and realize how dramatically things have changed. And that’s why healthcare marketers must be different and must do things differently. All the changes create great and exciting opportunities. There is a lot to learn, a lot to explore and a lot to do. Out task is harder in many ways, but the opportunities are greater too. What a decade it’s been! And just as we consider the changes of the 2000s, the next ten years will be yet another decade of change and challenge and excitement.